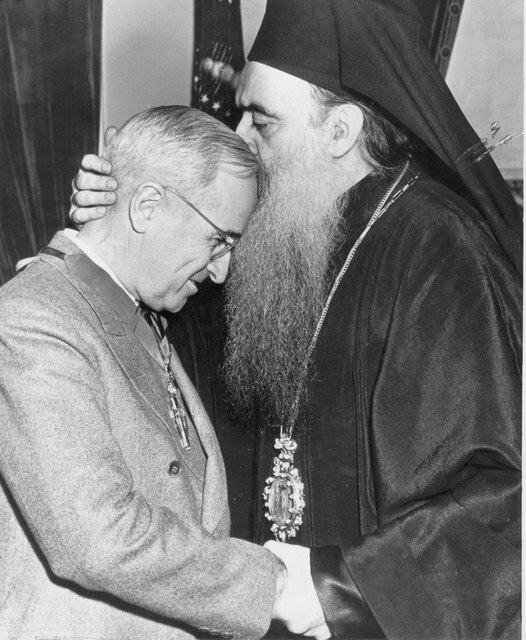 Archbishop Athenagoras kisses President Truman after giving him a piece of the True Cross. Archbishop Athenagoras Spyrou led the Greek Archdiocese of North and South America from 1930 until 1948. That year, he was elected Ecumenical Patriarch, a position he held for nearly a quarter century, until his death in 1972. 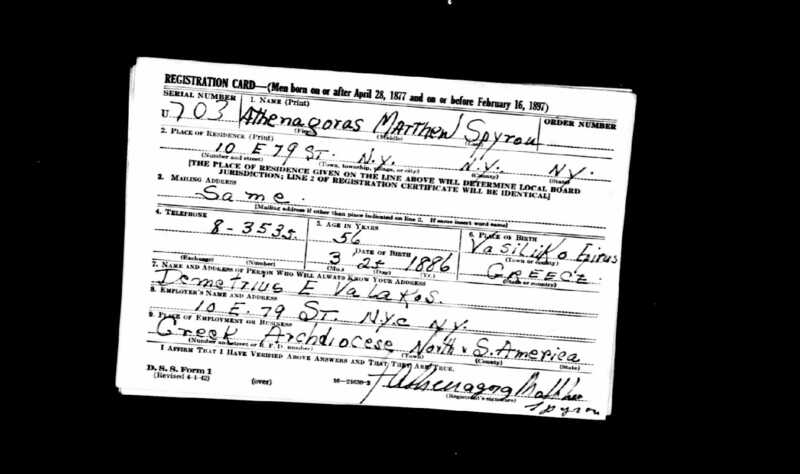 Athenagoras is perhaps most famous (or, in some quarters, infamous) for his landmark 1964 meeting in Jerusalem with the Roman Catholic Pope Paul VI. His mentor was Meletios Metaxakis. Metropolitan of Athens (and later Ecumenical Patriarch) Meletios Metaxakis was an equally significant, and equally controversial, figure. It was, of course, Metaxakis who established the Greek Archdiocese, spread the idea that the Ecumenical Patriarch has jurisdiction over all “barbarian lands” under Canon 28 of Chalcedon, spearheaded the introduction of the New Calendar, etc. Athenagoras was more politically savvy than Metaxakis, which is what helped him to survive much, much longer as Ecumenical Patriarch. He introduced organ music on Corfu. Before coming to America, Athenagoras was the Metropolitan of Corfu (home of the relics of St. Spyridon). There, he introduced the use of an organ, which was widely opposed by the rest of the Holy Synod of Greece. Athenagoras ignored them, and (according to at least one source) Corfu remains the only church in Greece to use an organ. In America, Athenagoras was a strong proponent of organ music. He tried to join the U.S. Army. 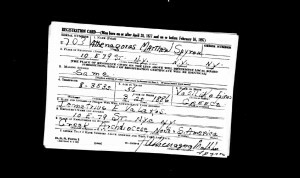 On December 8, 1941 — the day after the Japanese attack on Pearl Harbor — Athenagoras, then the 56-year-old Greek Archbishop of North and South America, attempted to enlist in the U.S. Army. They turned him down. He gave President Truman part of the True Cross. In 1947, Athenagoras presented his friend, President Harry Truman, with a piece of the True Cross. The next day, newspapers published a rather famous photo of Athenagoras kissing Truman on the forehead. Prev : Who was St. Tikhon? Is it true he was a Free Mason? Is it also true that his predecessor was forced out of office by the U.S. government?